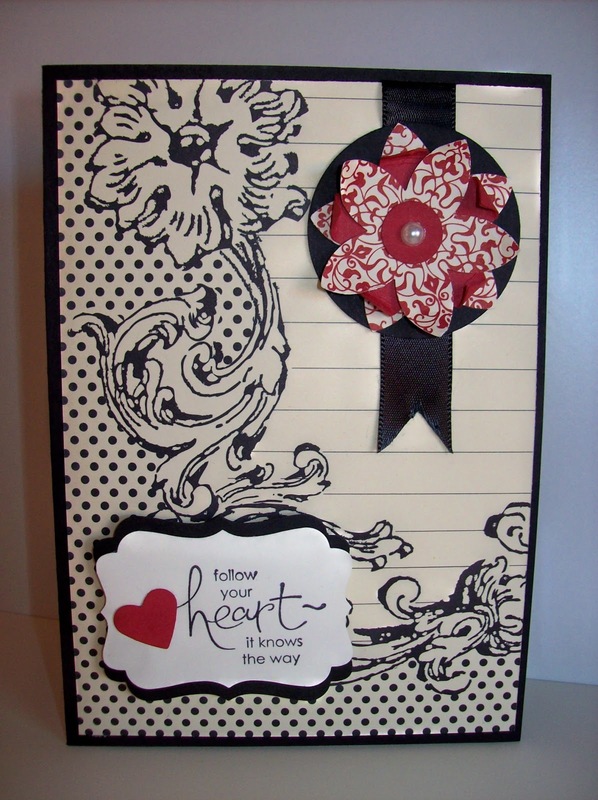 Accessories: Love Letter Designer Paper, Basic Black Satin Ribbon, 5 Petal Flower Punch, Extra Large Circle Punch, Small Circle Punch, Small Heart Punch, Decorative Label Punch, Basic Pearls, Stampin Dimensionals and Adhesives. 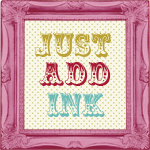 Come on over to Just Add Ink http://www.just-add-ink.blogspot.com/ and join on in the fun. A beautiful card, as always, Sammi. Thanks for joining us again this week. 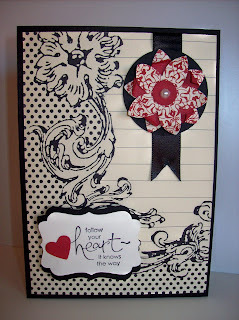 What a clever use of the DSP pattern Sammi - it makes a great frame for that lovely flower!